I've created this page to record service bulletins. These are any sort of update or notice about a problem I've found, and how to resolve it, as a curtesy to my valued customers. If you have found something you'd like me to share here, please let me know by contacting me. 9XR module pins are too long! Some modules (such as the stock 9X module, in particular) cannot be fully inserted into the 9XR module bay. 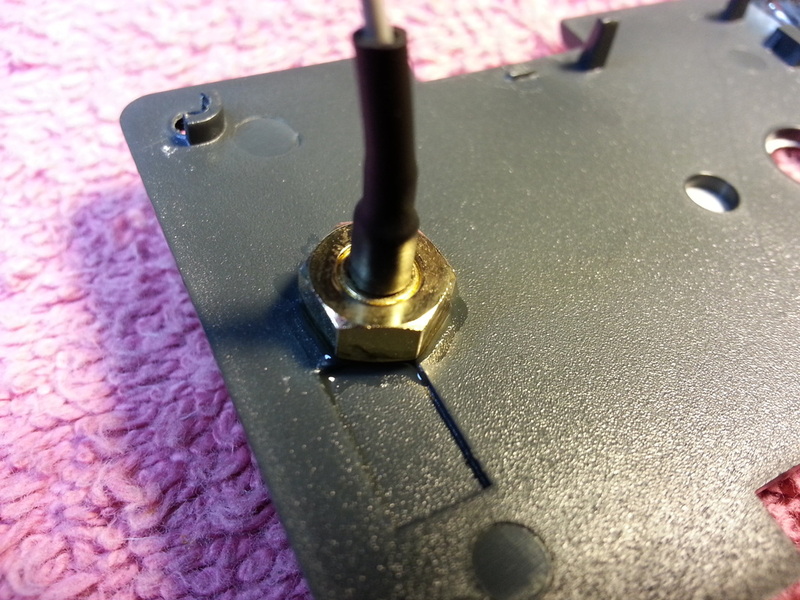 This is due to the interface pins being about 3mm too long. 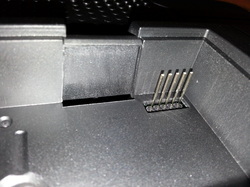 If you are having this problem, and would like to get your module to fully seat into the bay, you'll need to take a pair of wire cutters and carefully remove the last ~3mm of each pin. Be very careful in doing this, and try to keep them even. For best results, remove the back cover before attempting this. Radios sold by Helibatics.com already have this mod if they were shipped with a 9X module in late May 2013 or later. 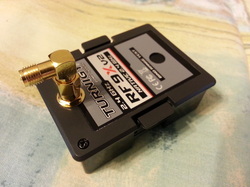 9X Tx modules with the plug-in mod shipped in mid-May 2013 or earlier with the FrSky RF connector may slip or rotate when tightening the 90 degree connector. All you need to do is carefully open the module and put a small amount of thin CA glue on the nut on the inside to keep it from turning. Let it dry fully under a mild breeze before re-assembling the module to prevent internal fogging from the CA. USBASP programmers typically have a 100ohm X 4 resistor array as protection against short circuits and the likes. Lately, I've noticed many of these programmers being made with 220ohm X 4 resistor arrays or higher, which WILL NOT WORK with the ATEMGA CPU in the 9X or 9XR. This problem can be worked around by direct wiring the traces over the resistor array, or using small magnet wire to wire each pin to the appropriate place on the PCB/chip of the prorgammer. 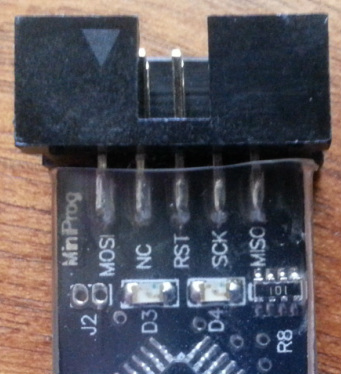 This is very difficult to do, because of the small size of everything, but if anyone has purchased a programmer that doesn't work, this may explain why. The 100ohm X 4 resistor array will have "101" printed on it (see picture). The 220ohm X 4 array will have "221" printed on it. Other values are possible. All programmers shipped from Helibatics.com will either have the "101" chip or be re-wired for correct operation.